The following paragraphs serve as a brief overview of what you may expect to experience on this epic 50 day journey with Outback Camp Tours. To read about individual legs of this journey, skip to the relevant section. 7.30am pickup East Perth train station (greyhound stop, city side of station) OR alternative agreed pickup points. We leave Perth headin’ out through the Swan Valley makin’ our way north, passing through towns and places of interest shown on the locations map provided on the website. The weather on this trip will determine if we can camp out or use alternative accommodation. Any alternative accommodation used due to bad weather or unforeseeable circumstances will be at the cost of the participant. Once out of the patchy weather of the south and headin’ north, it will be a camping tour all the way*. *There will be opportunities along the way for those who would like to use indoor accommodation occasionally (at own cost). Now travellin’ north through scenic landscapes and visiting attractions we will have two to three overnight stays until reachin’ Monkey Mia. Once at Monkey Mia there will be time to absorb the moment, and change the pace, taking part in optional activities on offer. After leavin’ Monkey Mia we pass through Carnarvon, headin’ towards Ningaloo Reef and Coral Bay where we will spend more quality time (three to four days), to swim, sight see, and enjoy optional activities on offer. 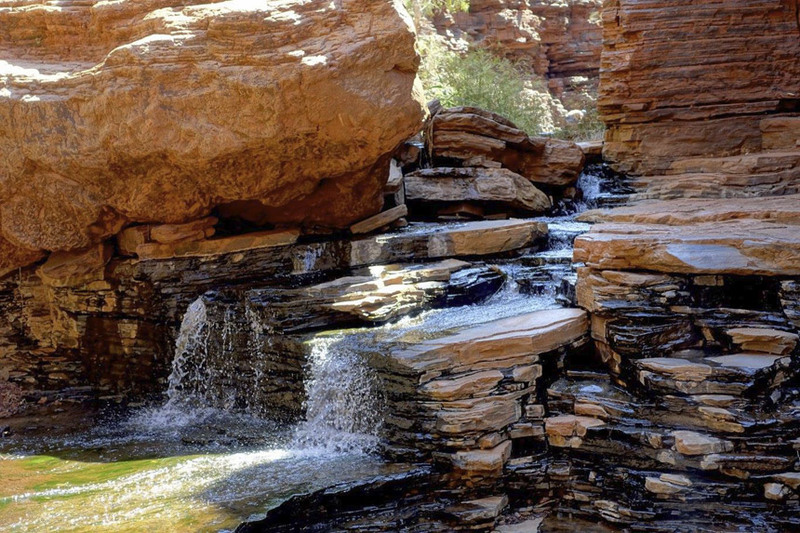 Once leavin’ Coral Bay and Exmouth, headin’ towards Tom Price, we will stop again at Karijini, one of the wonders of nature provided by time. We have two to three days here to take in what this amazing area has to offer. Leavin’ Karijini, and headin’ towards Port Hedland we check out whats’ happening in this town and what makes it so important to WA and Australia’s economy. 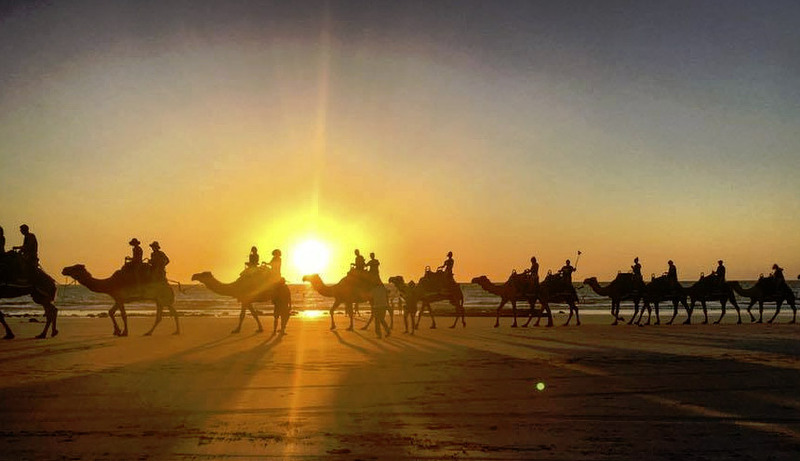 On leavin’ Port Hedland in amazement, things start to wind down again as we travel towards the time zone of Broome, spending three to four days in this world famous area; exploring, sightseeing, and maybe enjoying optional tours or activities. Leavin’ Broome headin’ towards Derby we see the change that unfolds as we see and experience the difference in the landscape and people, as we pass through the start of the Gibb River Road headin’ east visiting Mowanjum Art & Cultural Centre on the way. We arrive at Windjana Gorge camping one night. Then we travel down through to Tunnel Creek to learn the story of the aboriginal outlaw who outwitted the early European settlers; and how he got away with it for a good while! Once back out onto the Great Northern Hwy, we travel east into Fitzroy Crossing, makin’ our way towards Wolfe Creek Crater, the second largest meteorite crater in the world. This takes us deeper into the true outback to see what energy has been left behind that has been sent from the universe. We then head toward Hall’s Creek and out into the Bungle Bungles, takin’ the rough road in to see these amazing sights shaped by time. 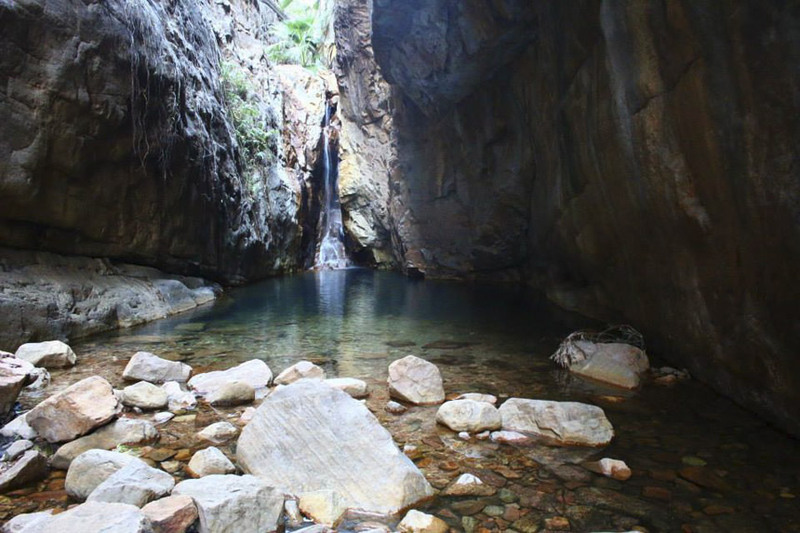 Next we travel to the end of the Gibb River Road to visit and stay overnight at the popular El Questro station, followed by a dip in the serene Emma Gorge (allowing us to experience both the start and the end of Gibb River Road). We then make our way to the banks of the Pentecost River at El Questro to set up camp and enjoy the beauty and feeling of the Kimberleys. On to Kununurra, home of the Ord River Scheme, Argyle Diamonds, and the food bowl of WA. We visit various places of interest. Leavin’ Kununurra we travel across the border into the Northern Territory, headin’ towards Katherine, passing various towns, crossin’ over the mighty Vic River; which has in the past stopped movement in and out the NT for up to two weeks at a time in a good wet. Once in Katherine, we will enjoy a cool down in the crystal clear springs, then continue our outback adventure before exiting towards Darwin. 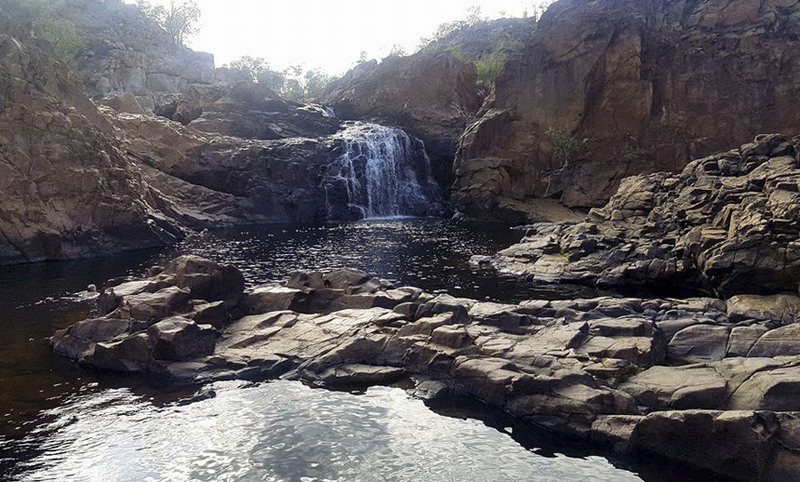 We will stop at Edith Falls and Lichfield National Park to visit popular rock pools, water falls, swimming holes and more. We will camp in this pristine and unspoiled area for two to three days. After leavin’ Lichfield National Park, before hittin’ Darwin town; one more item on your “things to do list” could be a get up and close personal encounter with the last living dinosaurs, with the Jumping Crocodile Tour. Before departin’ the Outback Camp Tour bus in Darwin, depending on time and peoples commitments; the last night we will be camping out together under the stars around a fire, tellin’ stories and having a laugh with new friends that we have shared the last 31 days with on this journey; something that will stay with us all for years to come. 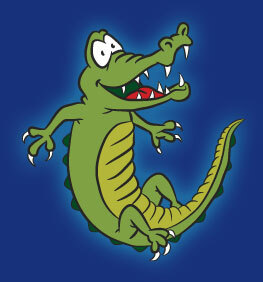 On the Epic 50 day trip there is a 5 day layover in Darwin at at the participant’s own expense. 7.30am pickup Mitchell St, Darwin OR alternative agreed pickup points. We start our journey from Darwin at 7:30am and head out to grab our food supplies. 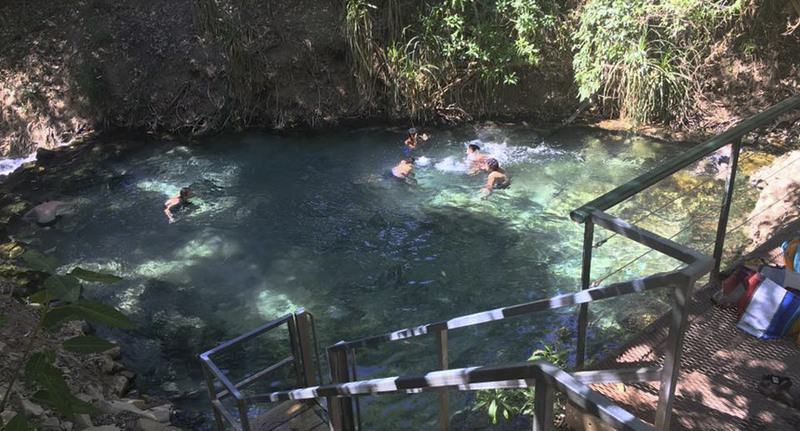 Then head south to Katherine where we will stop for lunch and a bit of a dip in the crystal clear springs. After our refreshing dip we head across to Katherine Gorge for a hike on the butterfly walk. Boat tours and canoe hire activities are at own expense. We camp for the night in the national park. We get up the next morning with an easy start to the day as we head further south with a stopover at Bitter Springs for a dip. We then continue the journey south to a typical outback character pub, The Daly Waters Pub, a place that reeks of bush life. And while livin’ that lifestyle we will find ourselves camped up somewhere along the way, looking into the past at some of the first white explorers to look at how they managed to cross this island without creature comforts. 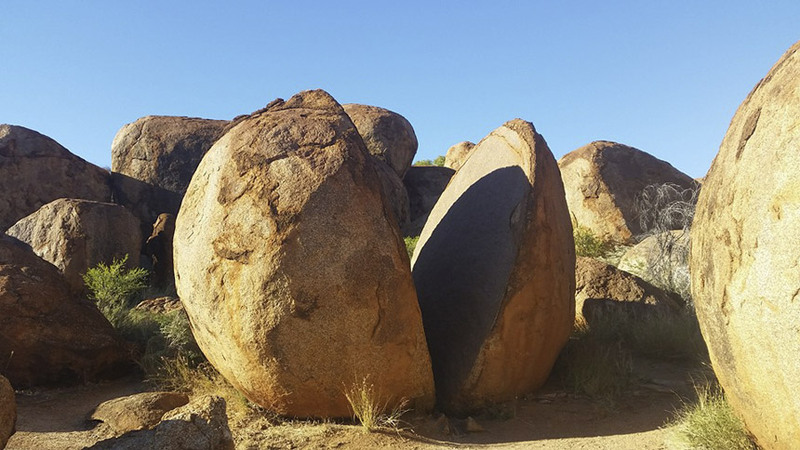 Our next day finds us travellin’ through Tennant Creek and the Devils Marbles, and lookin’ at things of interest. We leave a little earlier to make it into Alice Springs to look around, find our camp, catch up on some washing and see what this town has to offer. Bit of a sleep in today. Time to look around, finish up washing clothes, and top up on supplies before we start the next leg of our journey. 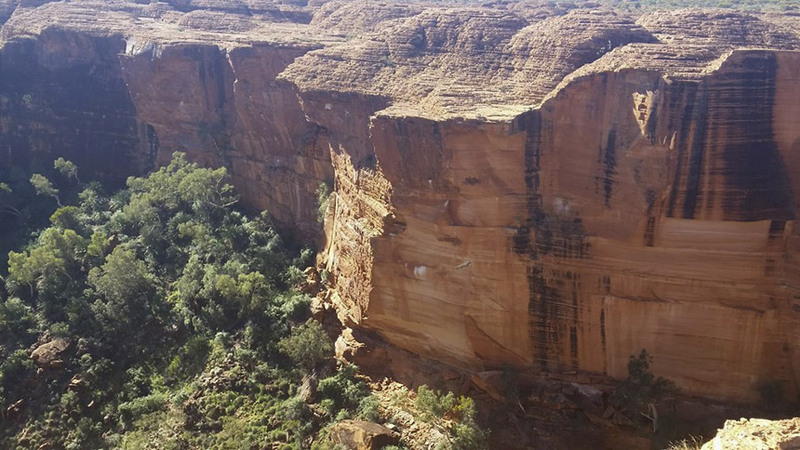 We head out by 7AM in the direction of West MacDonnell Ranges, stopping off for hikes into Simpsons Gap, Standley Chasm, Ellery Creek Big Hole, and Ormiston Gorge. Leavin’ this morning we head out to Kings Canyon for a walk around the top for a birds-eye view of all the colours and the picturesque scenery it has to offer. 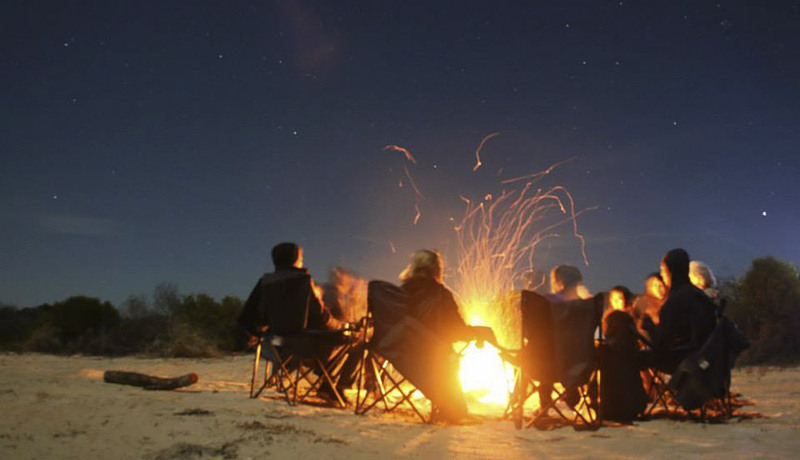 Today we will decide as a group to see how the day will start off and what we will do – but we will end up around Uluru for the day before spending the night at the resort’s camping grounds, after watchin’ the sun set on the rock. Sun rise at Uluru to catch the colours from a different angle, followed by some breakfast and a look into the cultural centre and indigenous ways (this will take up most of the day) – includin’ a walk up into the Olgas to sit back to catch another beautiful sunset whilst having a drink and a bite to eat. All before makin’ our way west to start the next leg of our journey. Our next 2 days will be spent crossin’ the Great Central Desert Highway. This is a true outback camp tour where the colours of the land meet the night sky, filled with bright stars against the black atmosphere of the universe! There is a different feel to this new chapter – Feel it! Try to imagine travellin’ this land by foot or even by camel, navigatin’ your way through into the unknown, or imagin’ the first indigenous people having the respect and belief to carry them through it. Once we make our way off the dirt roads and back on the bitumen, through small outback towns we make our way into goldfield country. Back in the day, when word got out that gold was being found, people came out of Perth by whatever means they had; bicycles, carrying all that they could – some pushin’ wheelbarrows with all their possessions for hundreds of kilometers in hope to make their fortune. Once arrivin’ at Kalgoorlie we will have a look at the past and the present in mining and its history, before we check in to camp to catch up on some washing as well as work out what we will do for the night. We start the day off by finishing our look around Kalgoorlie, then after lunch we start heading west as we start to get closer to Perth and our final destination. Along the way we will be travellin’ through the Wheatbelt region’s country towns, following Kalgoorlie’s 530km water pipeline that feeds this isolated town, to see where it all started and the history behind it. The last day of the journey of what has become an epic 50 days. Beginnin’ with people you have just met to becoming a small family, working together as a team, and sharing life’s experiences while travellin’ through places of beauty to remoteness rich in colour and energy that will definitely give you something to think about and appreciate as we all continue life’s journey after this epic road trip. 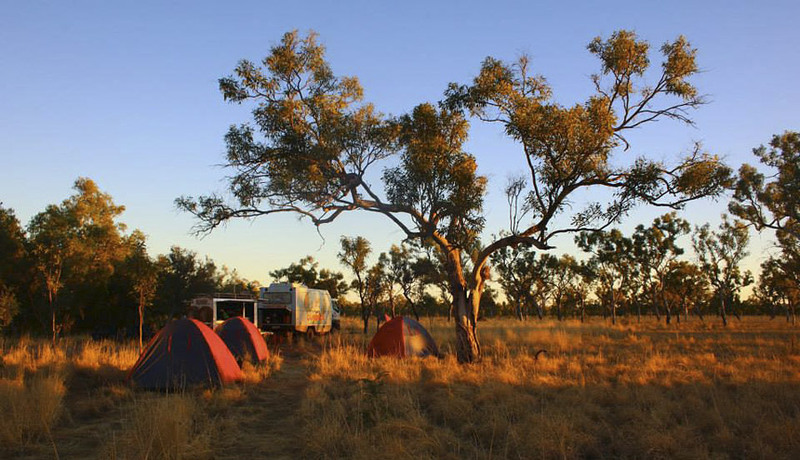 Please note that Outback Camp Tours is a different style of tour; the places of interest mentioned is a guideline to make the visitor aware of some of the time frames in different places. 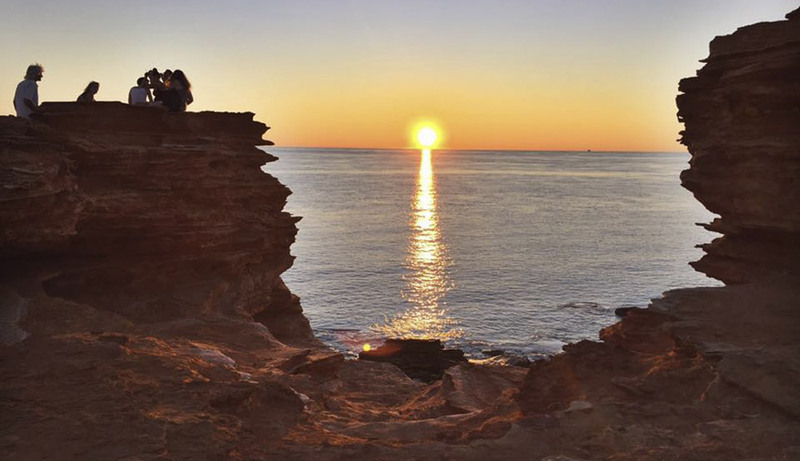 The 31 Day Perth to Darwin (one way) and 14 Day Darwin to Perth (one way) Outback Adventure gives some flexibility for visitors to “tailor” the length of stays in various locations within the guidelines mentioned depending on how many further optional activities are undertaken or just a desire to stay a day longer. There are many free attractions for visitors to experience. 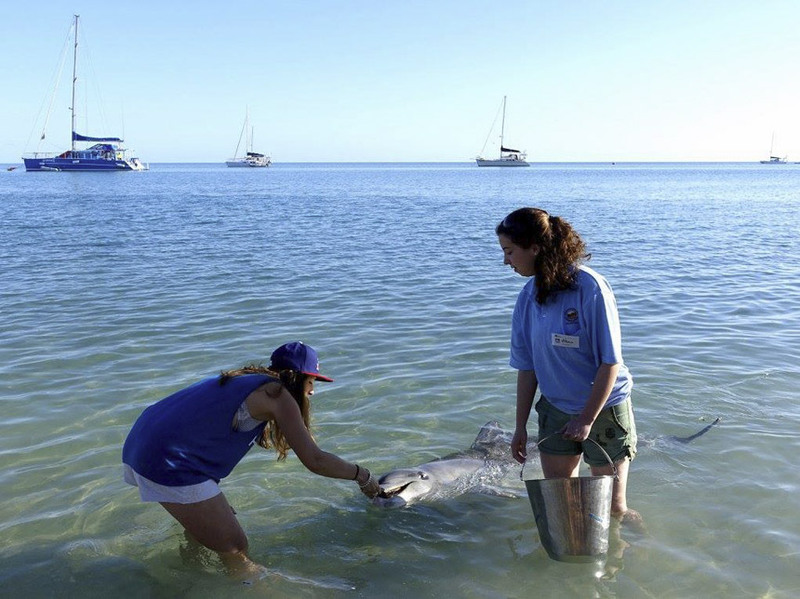 Examples of extra cost optional activities available are: fishing charters, river trips, canoe safaris, snorkeling, skydiving, Jumping Crocodile Tours, Aboriginal Cultural experiences, Monkey Mia Catamaran Eco Tours, scenic flights, Sunset Camel rides and more. The flexibility in this adventure may include more activities/places not mentioned (as time permits). Where possible, camp sites with facilities will be used, but some in the outback will be without facilities. The trailer in tow is fully equipped with cooking facilities, refrigeration, lighting, water and more to meet your needs to truly experience this outback camping adventure. This is a “hands on” journey, working together as a group with camp set up, shopping for food, meal preparations, cooking roster & and clean up. If you feel you can’t go without a shower for 2-3 days (there will be opportunities to swim) – or deal with spotty mobile phone reception, and you feel you don’t have to pull your weight because life’s too hard, and can’t bring yourself to be with nature when going to the toilet, then this trip might not be for you! !